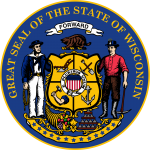 The Wisconsin medical power of attorney form legally permits an appointed person, who can be referred to as an `Agent, to make medical welfare decisions on the principal`s behalf should they become unable to do so themselves through serious illness such as a coma or mental impairment. The document requires two witnesses. The document is in accordance with the US Statutes §155.01 to .80. The principal`s details must be entered. The agent`s and alternative agent`s details must be entered. The principal must indicate their wishes regarding being admitted to a medical care facility. Check box `Yes` to be admitted to a nursing home. Check box `No` to be admitted to a nursing home. Check box `Yes` to be admitted to a community residential facility. Check box `No` to be admitted to a community residential facility. The principal must indicate their wishes regarding the use of a feeding tube. Check box `Yes` to withdraw or withhold use of a feeding tube. The principal must indicate their wishes regarding the agent`s authority to make health care decisions if they are pregnant. Check box `Yes` to allow agent to make health care decisions. Check box `No` not to allow agent to make health care decisions. The principal may enter specific details of any desires, provisions or limitations regarding their medical health care. The principal, witnesses and agent`s will enter their details. 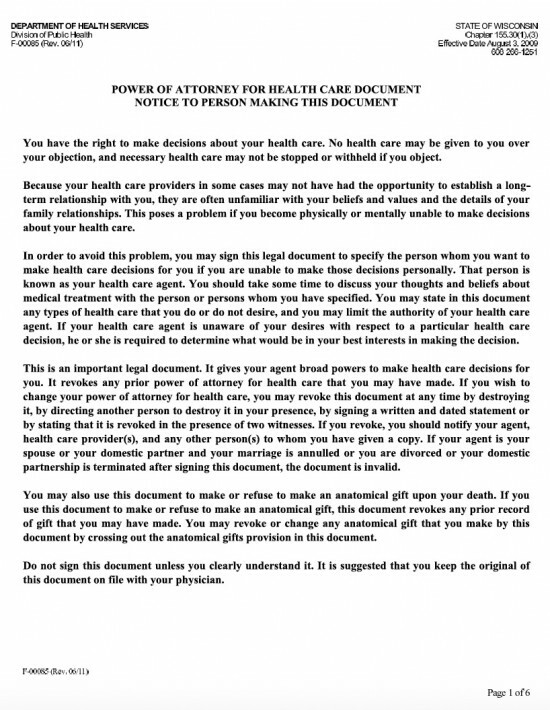 The principal must check the relevant box and enter details if required to indicate their wishes regarding the making of an anatomical gift after their death. Check box to donate specifically named organs and body parts. Check box to donate any required organs and body parts. Check box to donate body for anatomical study of required. Check box to refuse to make an anatomical gift.